There was a time when only economists and academics fretted over economic indicators like gross domestic product (GDP). But not any more. 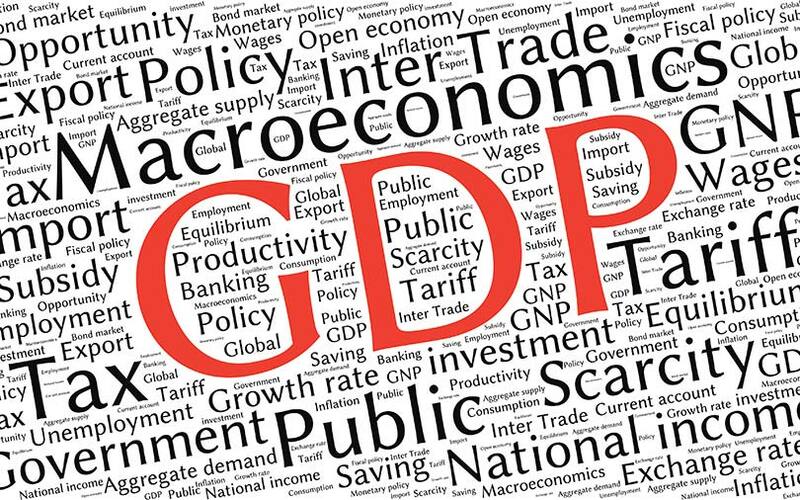 Today, GDP growth is something politicians have slugfests over. That's exactly what happened on Wednesday, when Prime Minister Narendra Modi's government reset some numbers and slashed the growth rate clocked during the years when the Congress-led United Progressive Alliance (UPA) was in power. The Central Statistical Office recalibrated the data using 2011-12 as the base year, instead of 2004-05. This shaved off a significant portion from the growth numbers during the UPA years. What do the new numbers look like? Going by the new base year, India’s earlier growth estimate for 2010-11, the year the country recorded double-digit growth, has been scaled down from 10.3% to 8.5%. Likewise, the numbers for 2005-06 and 2006-07 have been scaled down from 9.3% in each year to 7.9% and 8.1%, respectively. Further, for 2007-08, the estimate has been lowered from the earlier 9.8% to 7.7%. Why did the government recalibrate the numbers? The government has been presenting the GDP numbers since 2015-16, that is, after Modi took office in May 2014, using 2011-12 as the base year. But the data for the years before 2010-11 had not been recalibrated. That has been done now and the new numbers have been issued. It is, however, interesting that the new numbers have been released just months ahead of the 2019 general elections, in which Modi will seek a second term in office while the opposition parties have been looking to contest as a united force, led by the Congress party. Why is the opposition miffed? The opposition, most notably the Congress, is miffed because the new data takes a lot of the sheen away from their own stellar growth numbers. The opposition has long maintained that Modi has not been able to deliver on his promise of creating jobs and generating domestic manufacturing, and that his flagship ‘Make in India’ initiative has largely failed. Former finance minister P Chidambaram termed the new numbers “a bad joke” and said that the Niti Aayog had basically done “a hatchet job”. Chidambaram, who was finance minister first between 2004 and 2008 and then between 2012 and 2014, challenged Niti Aayog vice chairman Rajiv Kumar to a debate. The government disagrees. Kumar says the “complex exercise” is “internationally comparable and in sync with UN Standard National Account,” according to a report by the Press Trust of India. Kumar tweeted back saying he accepted the challenge to a debate, and asked the former finance minister to give “more coherent reasons” for his difficulty with the new data. DK Srivastava, an economist and chief policy adviser at EY India, told VCCircle the numbers based on the new series should have been released “much earlier”. Srivastava says the government should extend the scope of the new series to GDP data going as far back as 1981-82. “Unless long time series in a constant and comparable basis are available, it is difficult to model the economy on long-term parameters,” he says. But why is there such a big divergence in the numbers for some individual years? The government says the divergence is mainly because the earlier data, which was based on the 2004-05 series, had a lower reliance on the primary sector, as compared to the 2011-12 series. Moreover, the government says that in the mining and quarrying sector regular annual returns of public-sector companies have been used instead of the data provided by the Indian Bureau of Mines, as was the case with the 2004-05 numbers. Srivastava says the divergence is primarily on account of the fact that in the 2004-05 series, the telecom and financial services sectors received more weightage than in the new series.